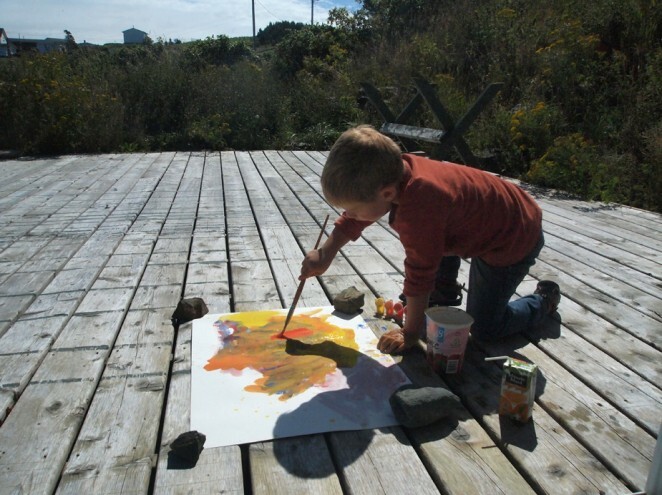 Just returned from another amazing week leading up to the opening of my show titled Twig, in Pouch Cove, Newfoundland. 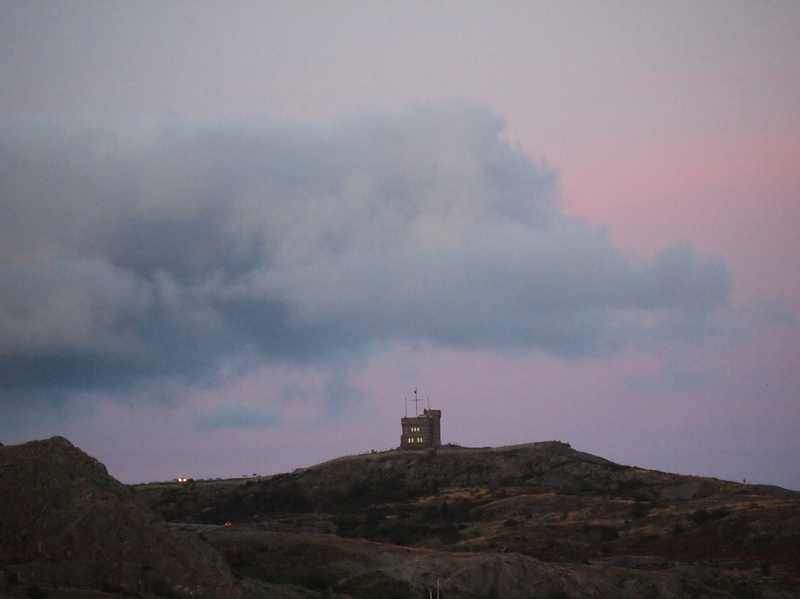 The first night’s view from our St. John’s hotel couldn’t be more “Newfoundland” than this sunset over Signal Hill. And in Pouch Cove, the setting couldn’t be more fitting for my work, with the Newfoundland and Arctic inspired pieces facing the very view that gave them life. The opening day was a steady flow of friends and familiar faces with some new ones. What makes this opening most memorable is the four hikers: two couples who emerged from the East Coast trail over towards the gallery. They had hiked four and half hours to my opening, and three of them just happen to be Polish, and one lived at the end of my street in Krakow. My little assistant tried his hand at creating on The Rock, quickly learning about the importance of paper weights. For me the highlight of this trip though was the fact that I could hike the trail with Alexander for the first time without carrying 30lbs on my back! 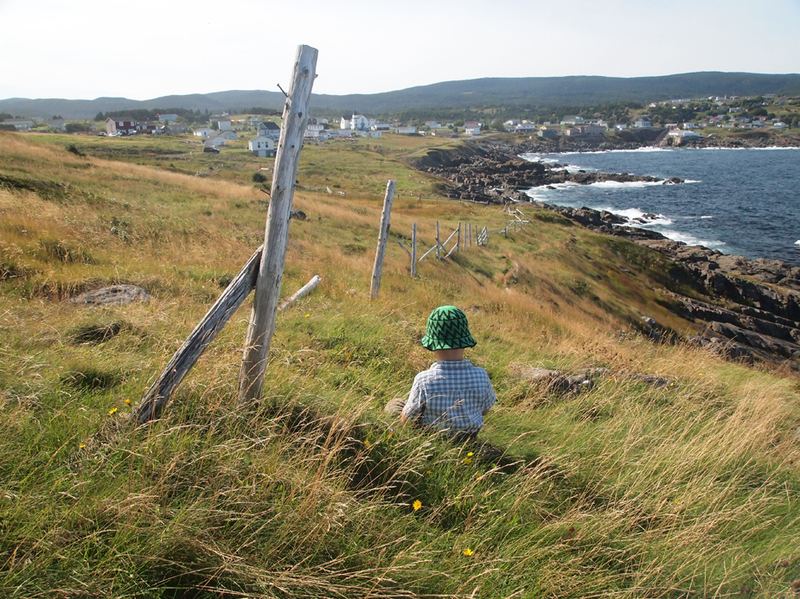 To my great joy he took to the east coast hikes in his mother’s footsteps, like a fish to water: 6km, one day, 5 and 4 the others. 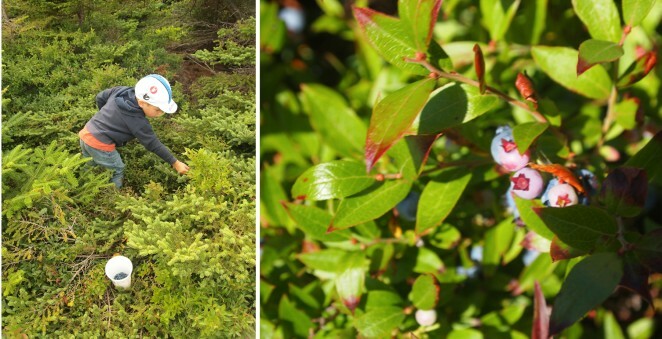 And for Alexander the definite highlight was the blueberry picking along the east coast trail. The day before the opening was a foggy feast to the eyes. 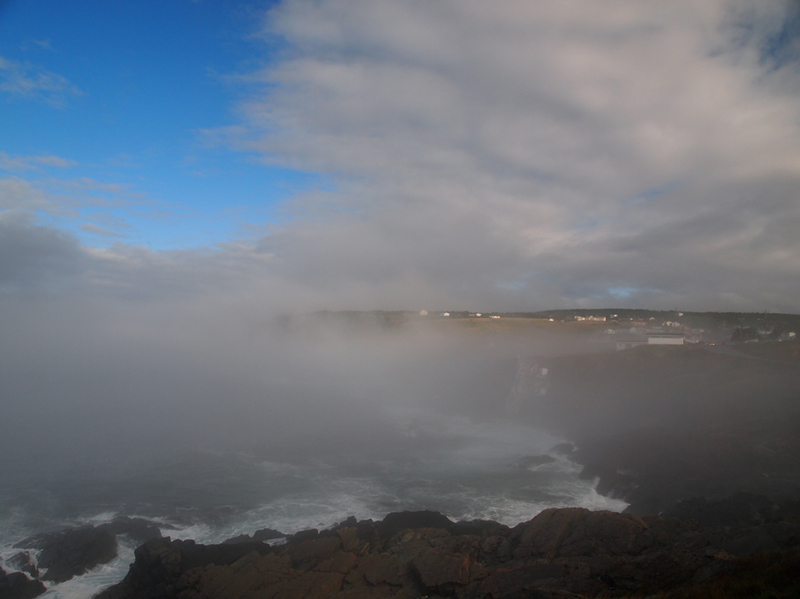 We stood for over an hour on the coast watching Pouch Cove be enveloped by whiteness and then reappear just as quickly. On this trip Alexander tried his hand at photography and though started out a bit wonky was soon capturing what he actually set out to. And so, I got some pictures of myself finally…well, sort of. And then there was the magical garden overlooking the ocean at Elke’s: The Points East B&B that we stayed at for a few nights. The goats if not in the fenced area were often tied to the picnic tables painted the colours of fishing boats.